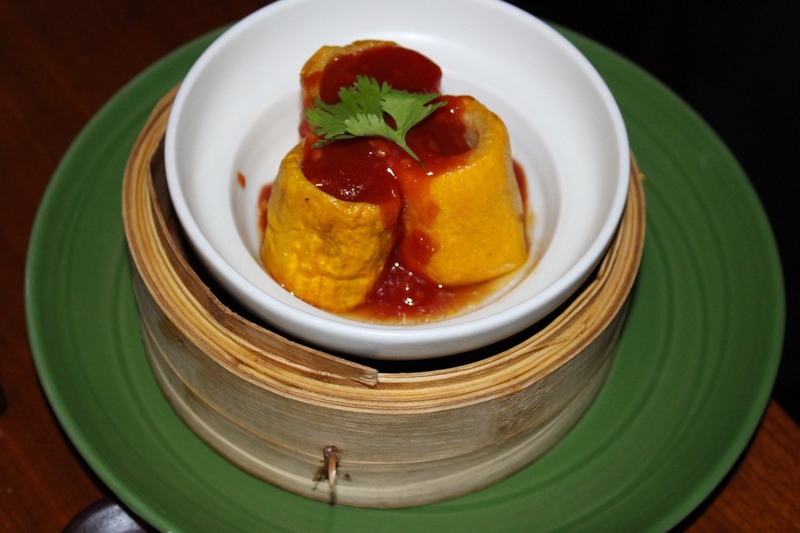 When you think of Chinese recipes, its always rice, noodles and also Manchurian without a second though but at The China Kitchen in Hyatt Regency Delhi which has recently launched its new menu, you get a lot more. 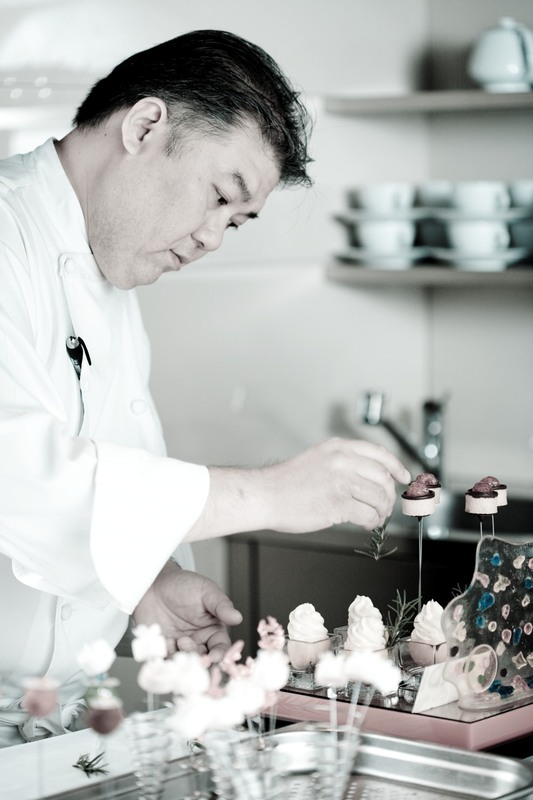 Curated by the Godfather of Chinese cuisine Chef Jack Aw Yong – Executive Chef at Park Hyatt Beijing, the new menu is all set to tickle your taste buds. There was a lot of peace and the structure was made such that my heart just melted and the taste of the divinity with all the ingredients that smelt so great, be it the presentation or the hospitality that came out directly from the heart, the joy of dining in a special place and the love for Chinese, the selection of the bestest and yes you just love being yourself, don’t feel like sharing and like a 3 year old kid enjoying every bit of the great dishes. 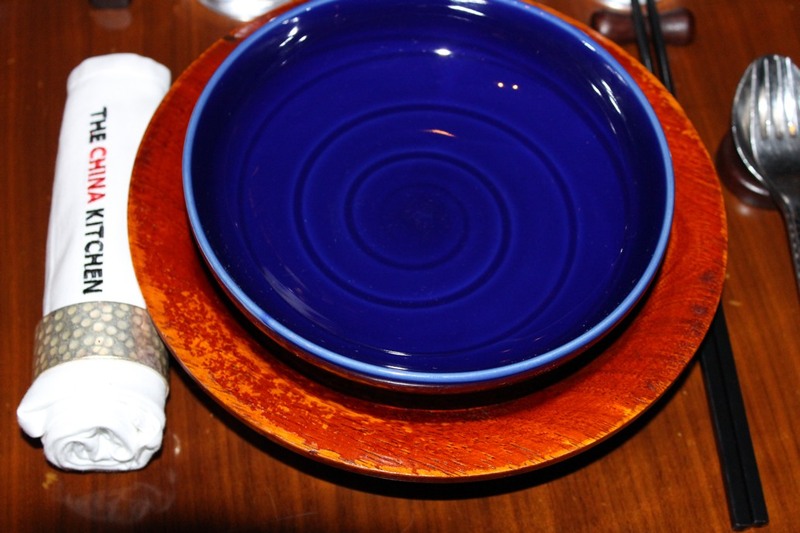 With chilli oil, soya sauce, chilli paste, sweet & chilli dip kept and the lovely table laid with blue crockery and The China Kitchen printed napkin lovingly rolled blended with wooden touches and yellow aura. The menu is aesthetically designed fondly and the setting is calm & composed and the positive lights make the place more comfortable, totally stress free, relaxing & beaming with positivity. We went on a Thursday dinner and the place was buzzing with the crowd just pouring in, lovingly relishing every dish. The first serving that we tried here was Healthy Fungi Salad with garlic vinaigrette, fried shallot and truffle oil. This salad had spring onions & Chinese greens tossed & mixed with wild mushrooms (white & black fungi) and vinaigrette for the lemony taste & zing. The taste was nice, lemony and a bit spicy at the same time. Interesting mix! 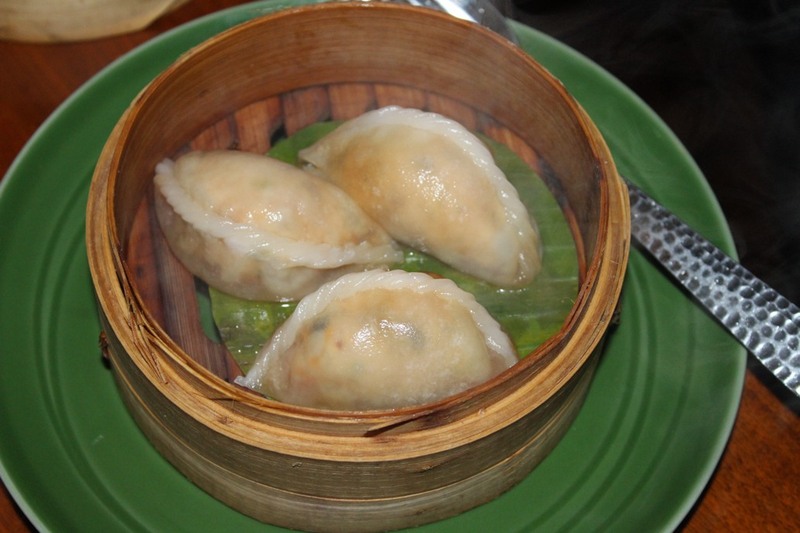 The Beijing Style Vegetable Dumpling with celery, mushroom & truffle oil was very different. 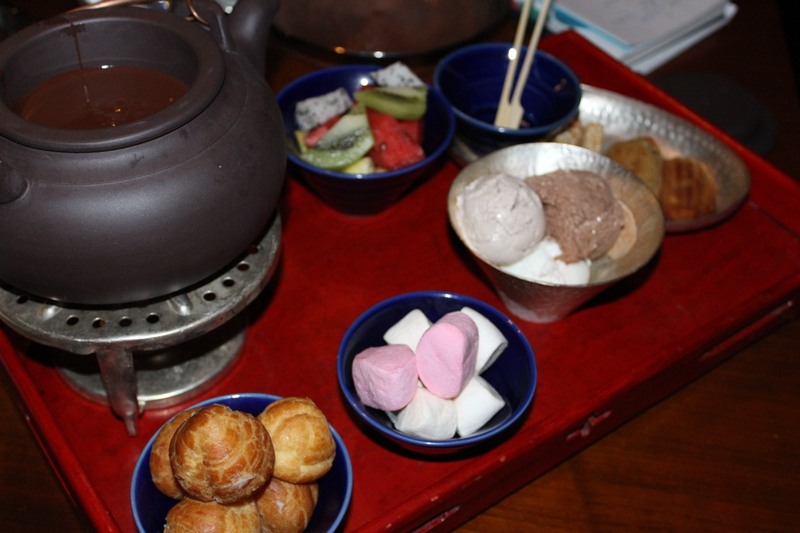 I am not fond of mushrooms but the taste made me happily enjoy them. The smoky flavours came out really well. Something I had never tried before. 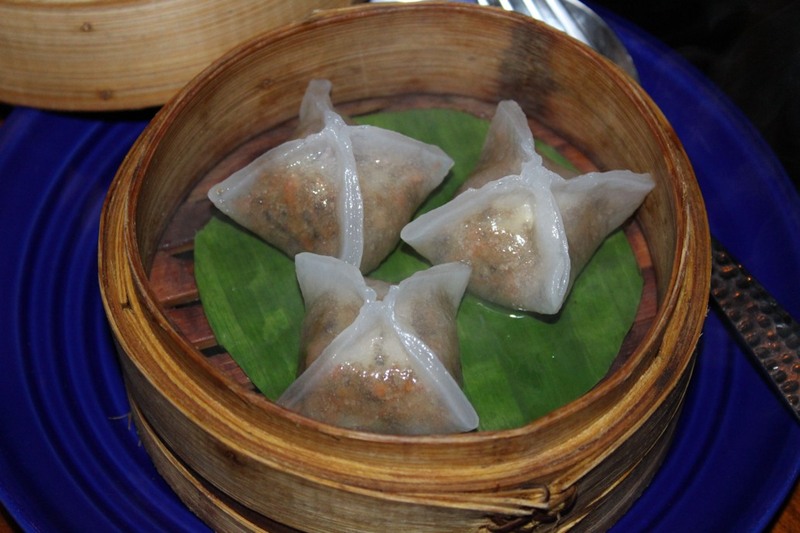 While the Spicy Mushroom, Black Bean & Chicken Dumplings had juicy chicken inside the soft outer coating. Loved this one as well! Next was Zucchini and Cumin Lamb Dumpling with a sweet & sour dip which had a juicy spicy filling and chewy outer coating. The lamb was tasty & perfectly cooked but the after taste can be a bit spicy for few people. Moving on to the main course, we tried the Sichuan Fried Noodles with vegetables, bell peppers, bean sprouts and sesame oil. The noodles were superb and nicely made with sesame oil flavour. 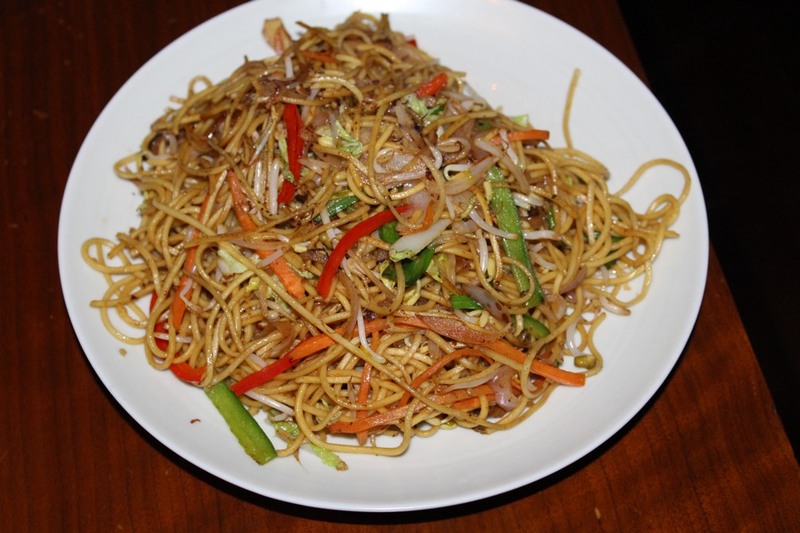 I really enjoyed eating the aromatic Chinese noodles as the flavour of sesame blended really well and came out well in the recipe. 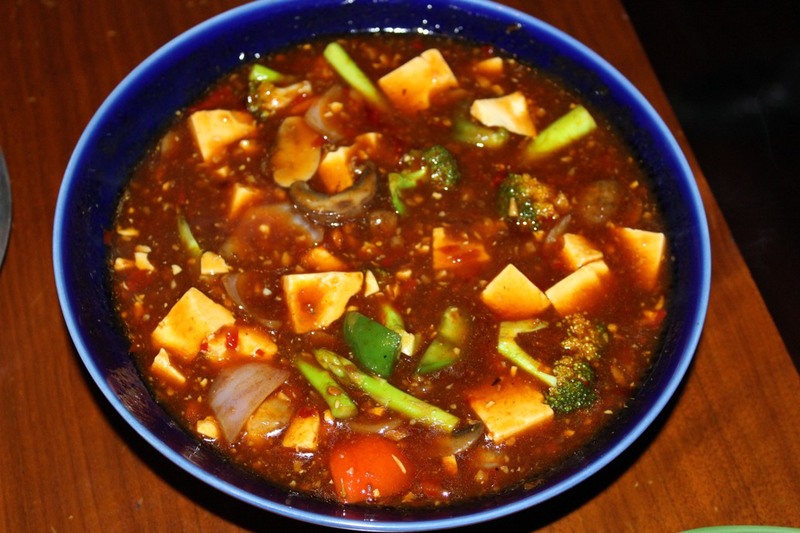 The Sichuan Spicy Tofu with mushroom, vegetable, leek & ginger made a delectable treat indeed. I loved the velvety silk texture of the tofu along with the nutrient elements and the warmth of fresh veggies & ginger in Sichuan pepper sauce. Recommended! 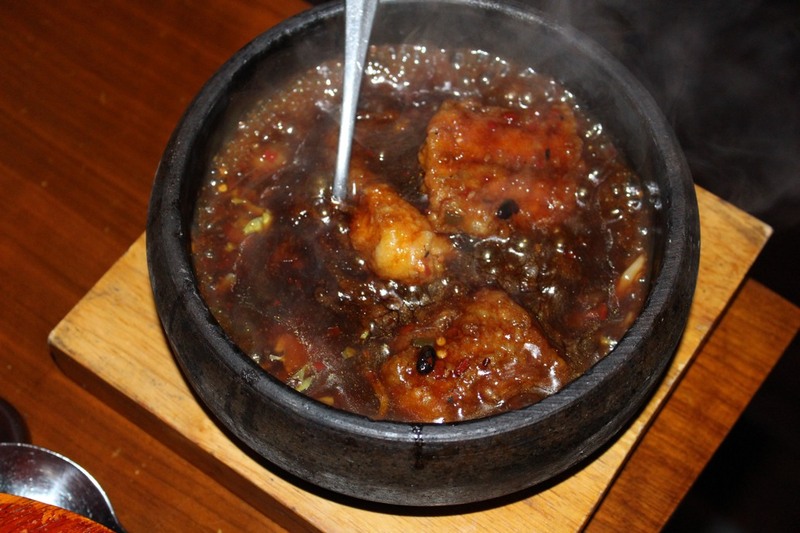 The Sizzling Seabass in spicy black bean sauce with white cabbage & red onion had a crispy seabass fish served in a sizzling stone bowl which kept the fish warm. 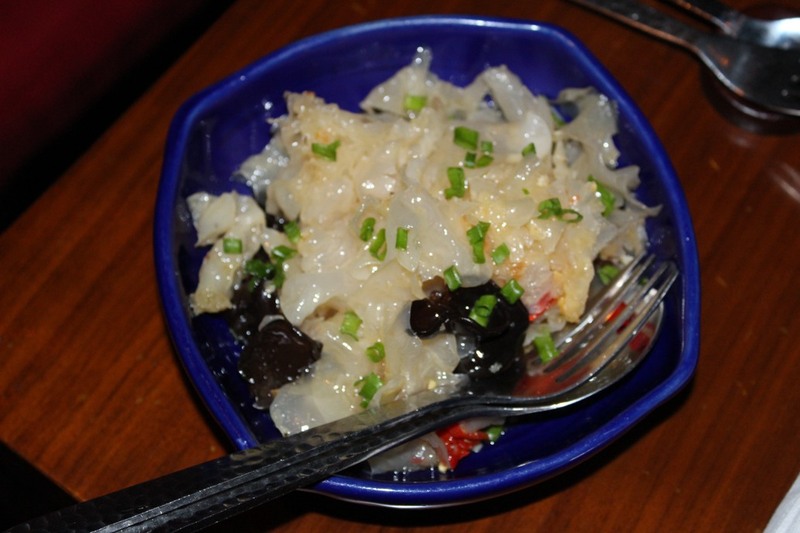 This is made by deep frying the fish fillet and then putting it on a bed of cabbage with black bean sauce on top. Sumptuous! 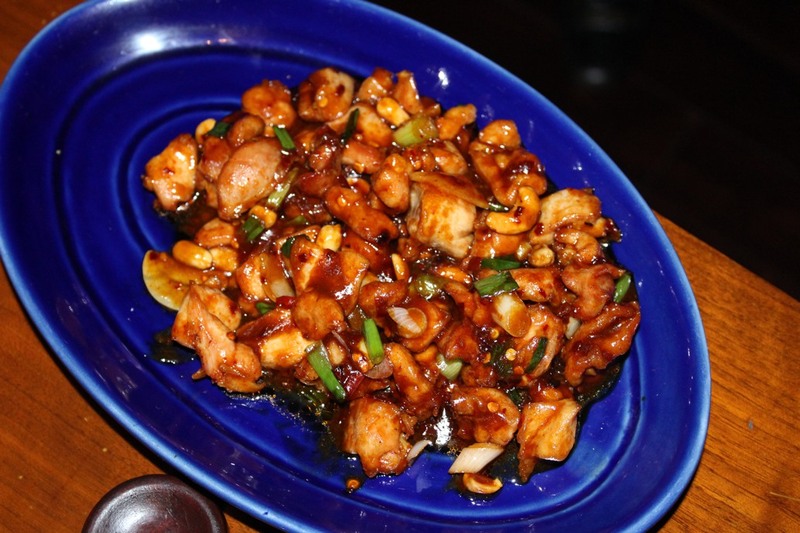 Next came the “Gong Bao” diced chicken with red onion, cashew nut & vinegar sauce. Made in sweet vinegar sauce, it was very nicely done and the chicken was juicy and tempting. A delicious & nutritious recipe; full marks to this one! 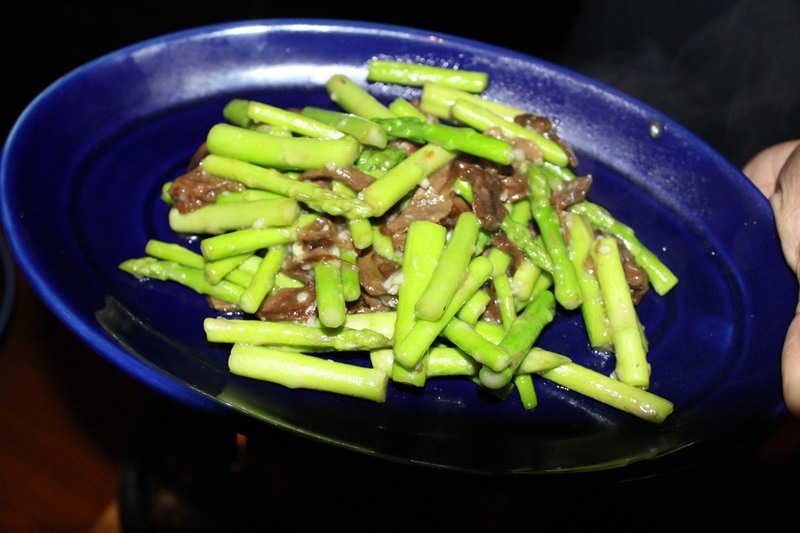 The stir-fried asparagus with porcini mushroom & crispy shallot tasted amazing. This dish was cooked in mild garlic sauce. I still can’t forget the fresh taste of the delicate asparagus, so yum! Must try dish and definitely my favourite, you will love it for sure! 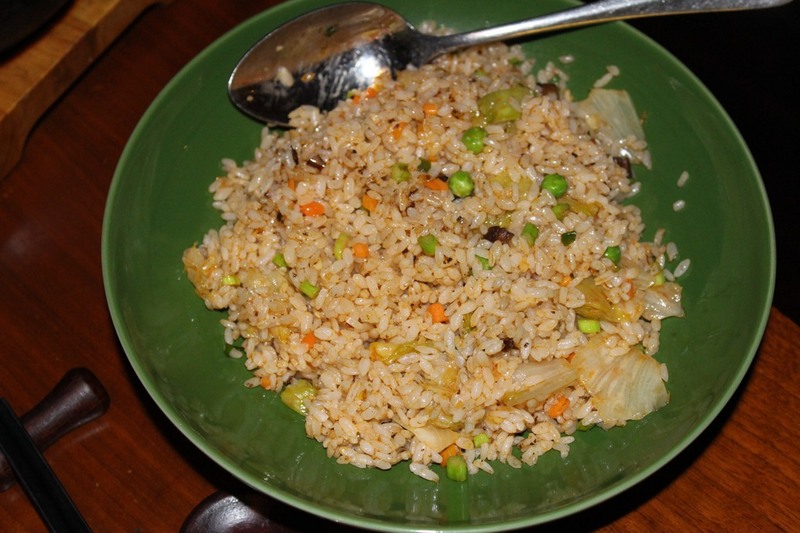 Lastly, the Vegetable Fried Rice with crispy garlic, truffle oil and smoked bamboo shoot tasted great. The veggies included peas, white cabbage with beans and diced carrots. I paired it with stir-fried asparagus, seabass fish & the velvety tofu and I couldn’t have asked for anything more. In a candid conversation with Chef Zhang Hang Sheng, who along with Chef Jack Aw Yong curated the new menu, we came to know some fun facts about him like he loves watching Kung Fu Panda & Jackie Chan movies. He loves cooking chilli chicken, playing football and cooking Chinese food for his 12 year old daughter. 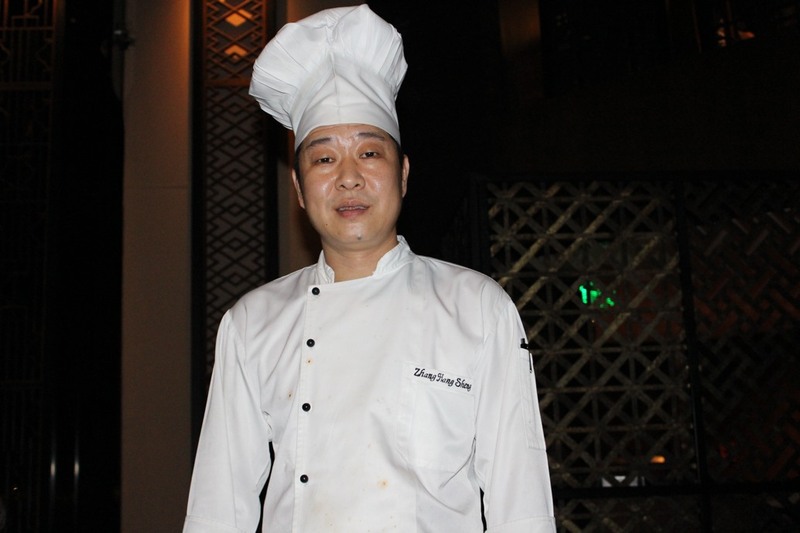 The 38 year old chef hails from Beijing, China. 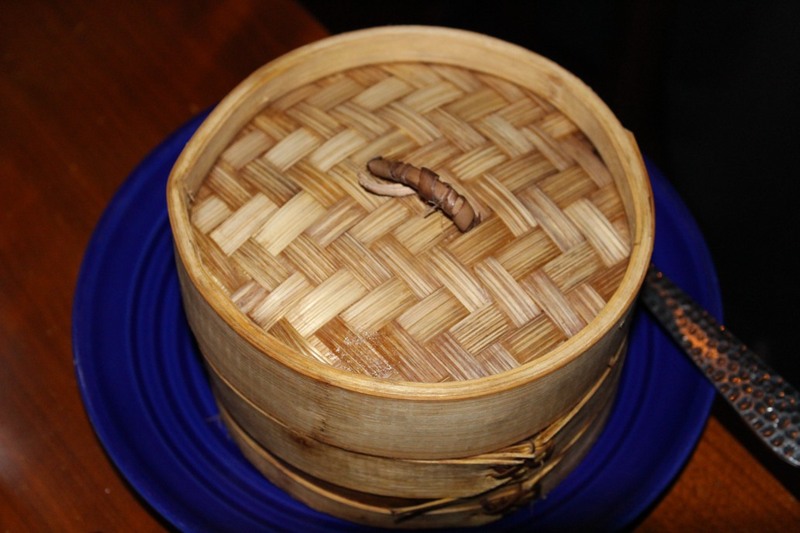 With the Chinese temptations & flavours be it the lovely asparagus which I can never forget or the crispy Seabass, the amiable & cooperative staff, the calm music or the peaceful & comfortable set-up- everything was perfect. The China Kitchen is a lovely place for having a peaceful & delightful meal and yes you are sure to remember the entire serene experience for a long time, my heart goes especially for the flavours and the authenticity used in the recipes. Thank you The China Kitchen for the sweet & unforgettable memories, the selection of the best dishes and a delicious meal from the nutritious & tastefully done menu. It’s a must visit place!